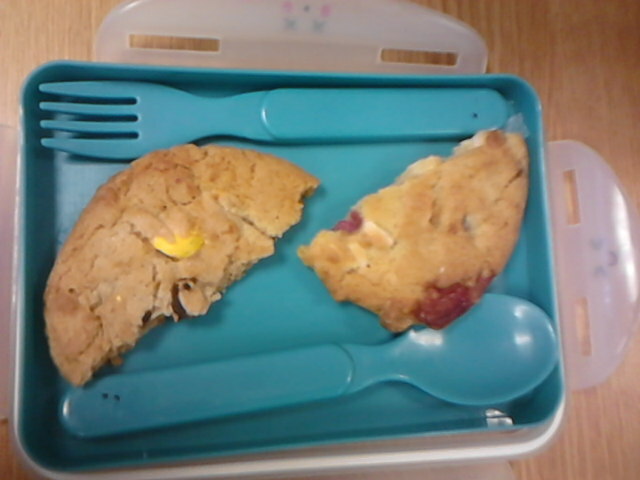 On a plate! 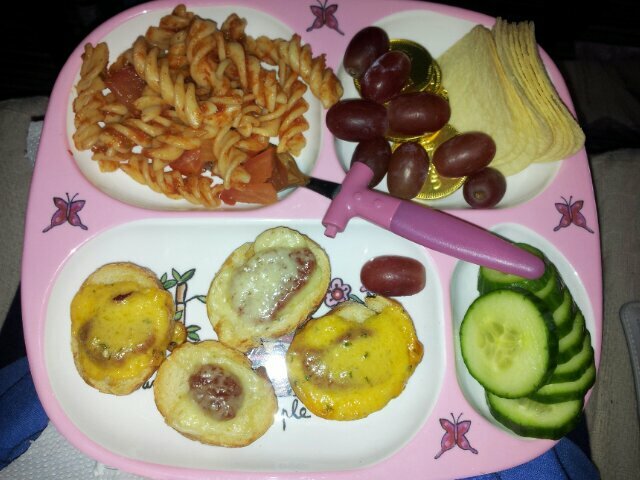 A little unhealthy for Christmas – tomato pasta, french bread mini pizzas with two different cheeses, cucumber, grapes, pringles and hidden chocolate coins (can you spot them?). My mum got me and my partner these plates last year sometime (he has a blue edged one) and they are so adorable and fun!! I am an adult I promise! These would be great for all those fridge raiding leftover lunches/dinners! Today is a special post!! This is my 100th blog post!! 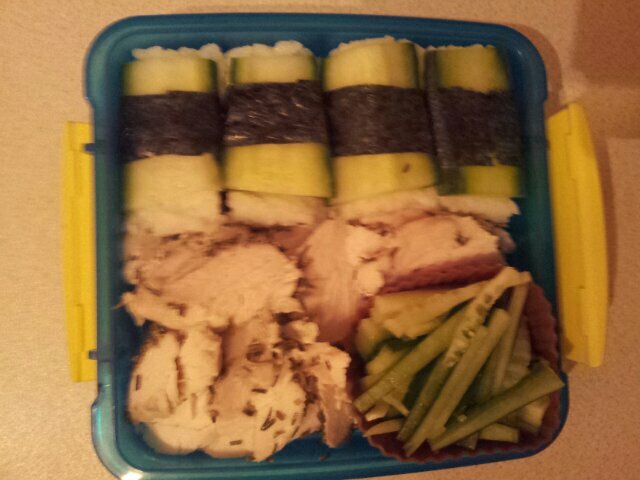 And of course it has to be a bento post! 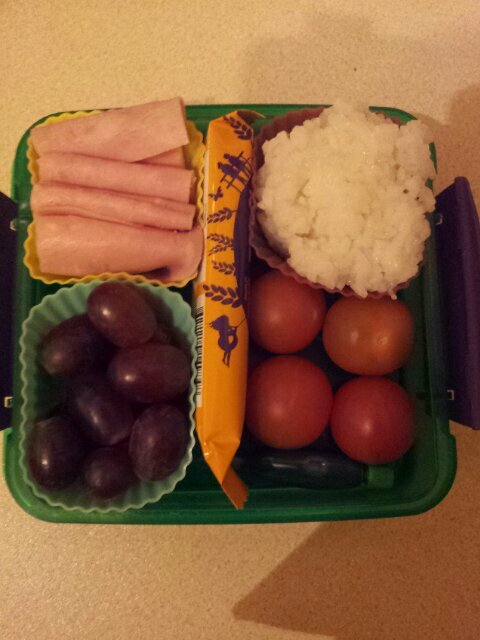 To mark this special occasion, I am including not one, not two, but three bentos in todays post! 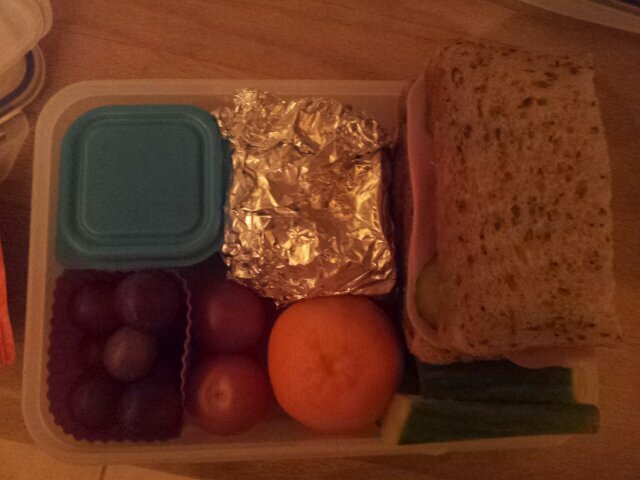 Next is my brothers lunch. 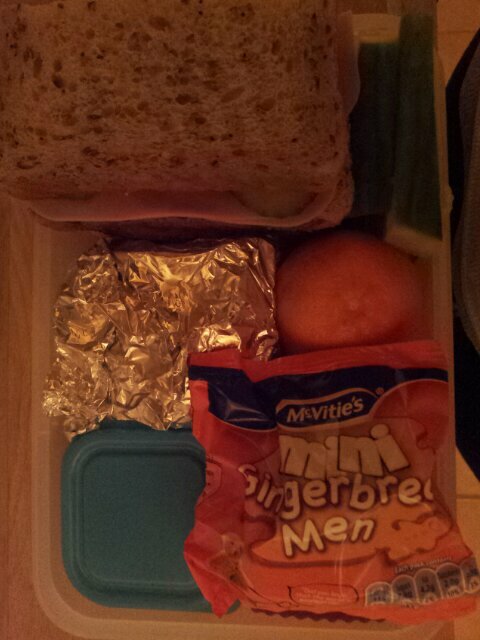 I make it simple and easy to eat as I never know whether he’s off out or college or something (he’s college age). 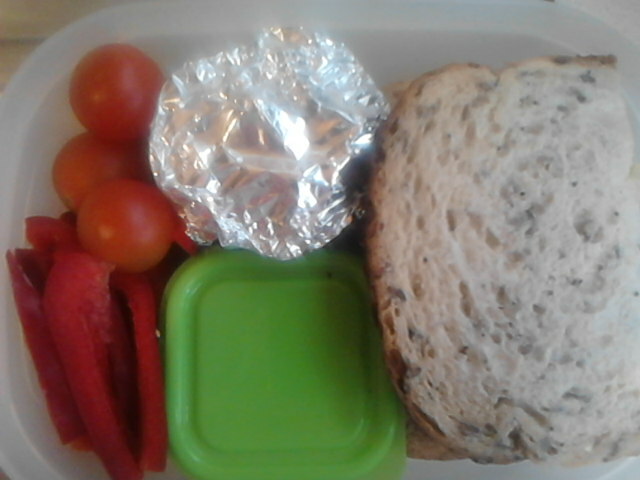 He has cheese, cucumber and mustard sandwich on seedy bread, unsalted cashews and salted peanuts in the small green lidded box, sliced peppers, cherry tomatoes and a homemade nest cake in the foil. Again, nice and balanced and healthy 🙂 with a little treat. 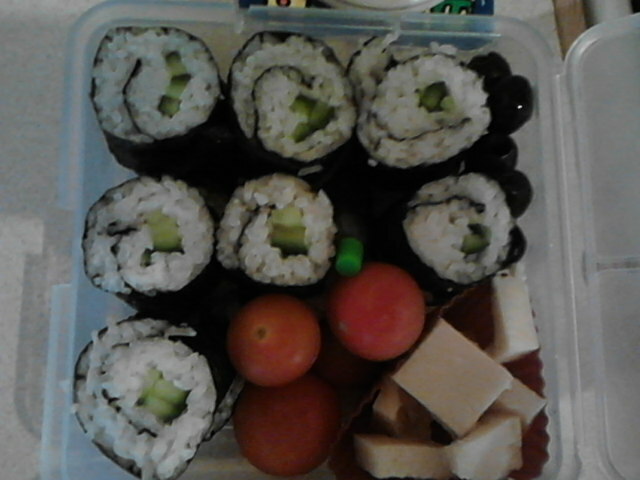 My brothers bento has no accompanying sides. 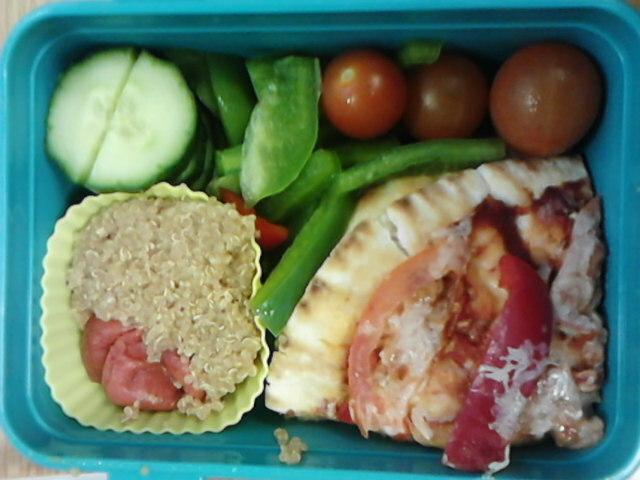 This last one is my bf’s main dish bento. 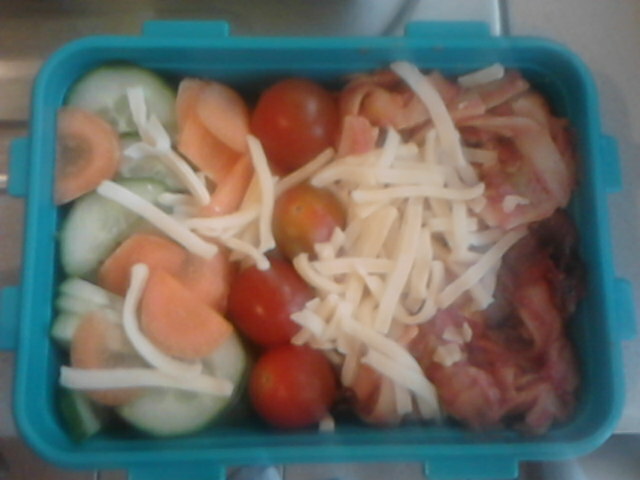 He had leftover tagliatelle in tomato and cream cheese sauce with mushrooms and leeks and cheese on top, and a side salad of cucumbers and carrots (with a little cheese on top too) with cherry tomatoes down the middle. 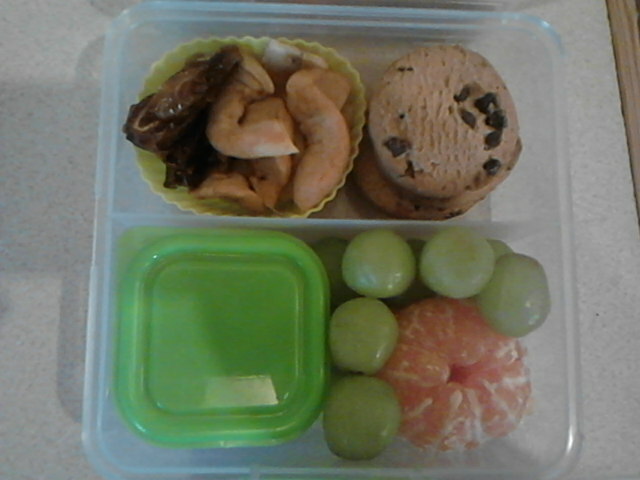 The bf usually has lunchbox additions (aside from the main bento) of malt loaf, fruit (apple, satsuma, grapes or banana), a treat (so in this case a homemade nest cake) and other bits and pieces. Nice and healthy again! I’m on a roll! Well, what a post for my 100th one 🙂 hope everyone is having a fantastic day!! How long ago did you start blogging? 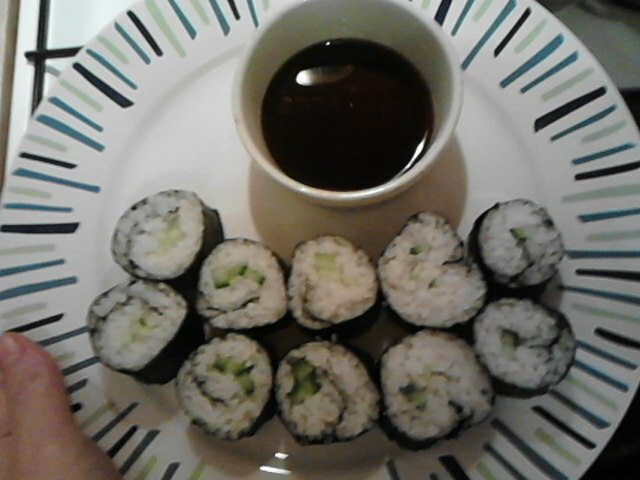 These have to be my best maki yet. 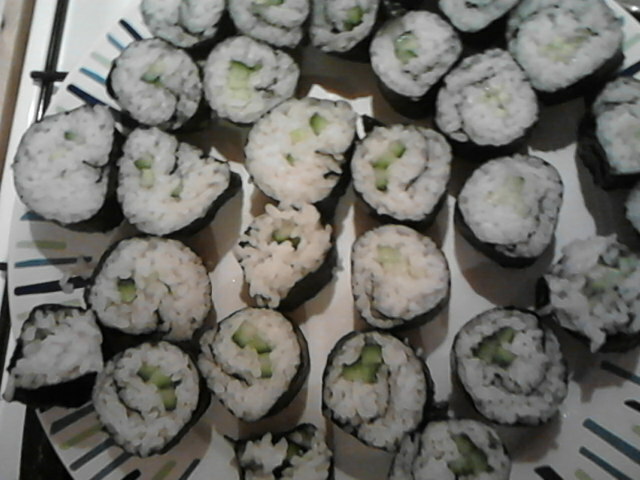 I used my new Sushi knife to cut them, as that’s the only knife I have that is sharp enough to cut nori. 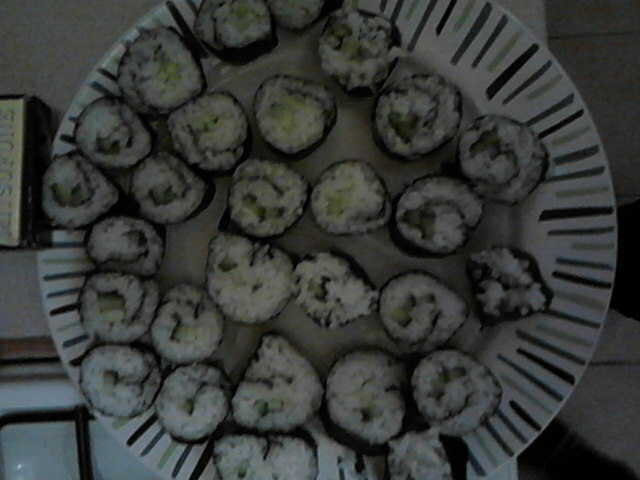 The bfs contains stir fry veg, with extra fresh spinach, carrots, sushi rice (with sushi rice seasoning), and a few badly shaped cucumber maki. On top of the rice is a nori cut-out in the shape of a fish silloueette, and a few cucumber and spinach hearts. Mine contained rice again, with loads of carrots and stir fry veg, steamed smoked salmon, quick scrambled egg (with salt, sugar, mirin and soy sauce – like tamagoyaki). 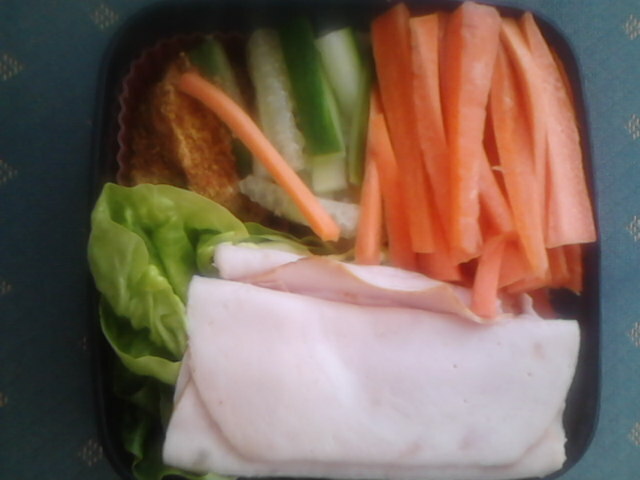 I have the negative cut-out of both the nori fish and cucumber hearts. I preferred mine 🙂 more protein, but more smelly! !